Whether you call them gender dynamics (as we do), hidden biases, unconscious biases or second generation gender biases - gender dynamics matter. 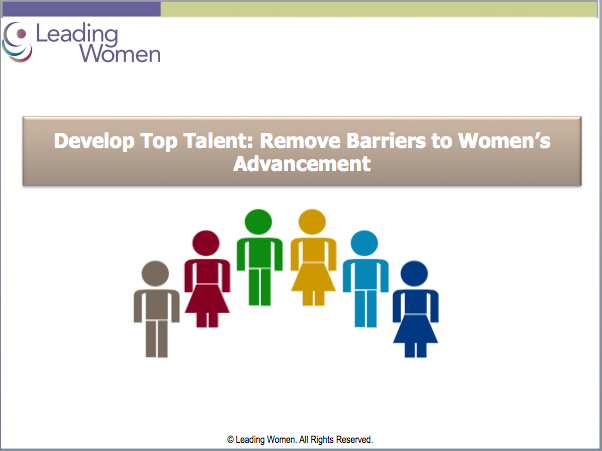 No matter how competent your women or equalized your corporate policies, gender dynamics create barriers to women's advancement and impede the impact of your talent development initiatives. Share a bit of contact information and watch the video right away! Ready to have a conversation about addressing unconscious bias/gender dynamics and the adverse impact they can have to developing top talent?